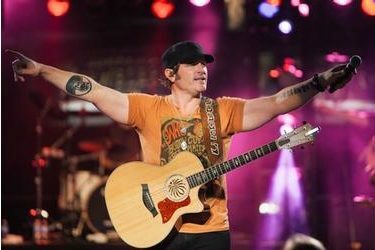 Tonight, Friday, April 5, Liberal native and country music superstar Jerrod Niemann will return home to perform a one-night special concert event at the Seward County Activity Center. The show, presented by the Saints Booster Club, will act as a fundraiser for the Seward County Community College Athletic Department to help raise funds for athletic scholarships. Niemann has been rocking the country music scene since 1999 when he self-released his debut album Long Hard Road. In March 2010, Niemann’s song “Lover, Lover” became his first Top 40 single and eventually hit Number 1 on the country music charts in August 2010. Other popular hits by Niemann include “Drink to That All Night”, “God Made a Woman” and “A Little More Love”. The concert will be part of Niemann’s Tallboys and Short Stories tour. Niemann will perform on this evening with the doors opening at 6:00 p.m. with special guests Whiskey Red and Raizin Kane in the Seward County Activity Center. Tickets are $20 and can be purchased at Crazy House, KSCB Radio Station and Seward County Community College.